Over the years I have lived in Berlin I have criss-crossed the city trying out Berlin Kebab recommendations from friends, readers, newspapers and blogs in my search for the best Berlin Kebaps. 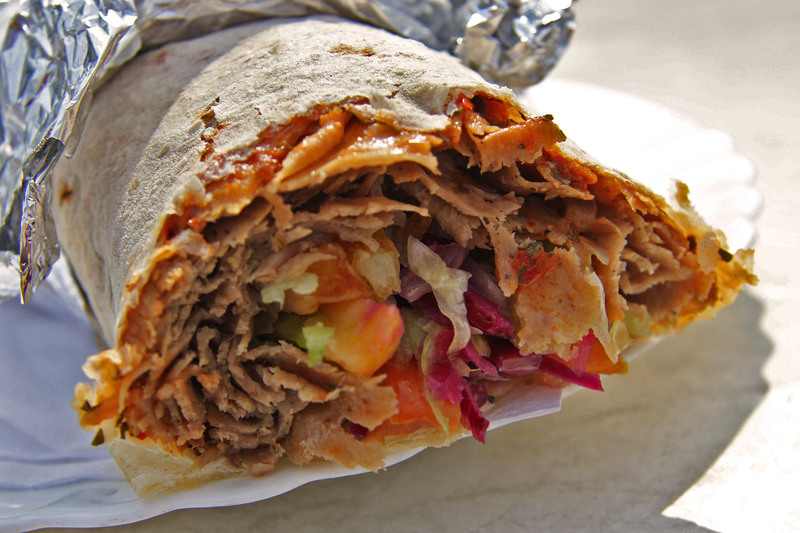 Legend has it that the Döner Kebab (Doner Kebab) was invented in Berlin in the 1970s and I have seen the discovery credited to both Kadir Nurman and Mehmet Aygün. 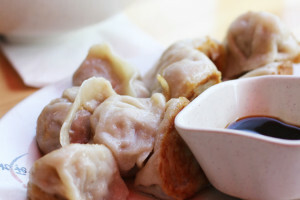 Many however would dispute that either have any right to claim to have invented a snack that has existed in various forms for centuries. Regardless of when, where and who came up with the idea, Döner is a hugely popular snack in Berlin and the versions sold here are far superior to most of the soggy messes I have eaten in the UK. Please note that the Kebabs are not listed in any specific order, as I would find it almost impossible to rank them, especially as I have different favourite dishes at each. 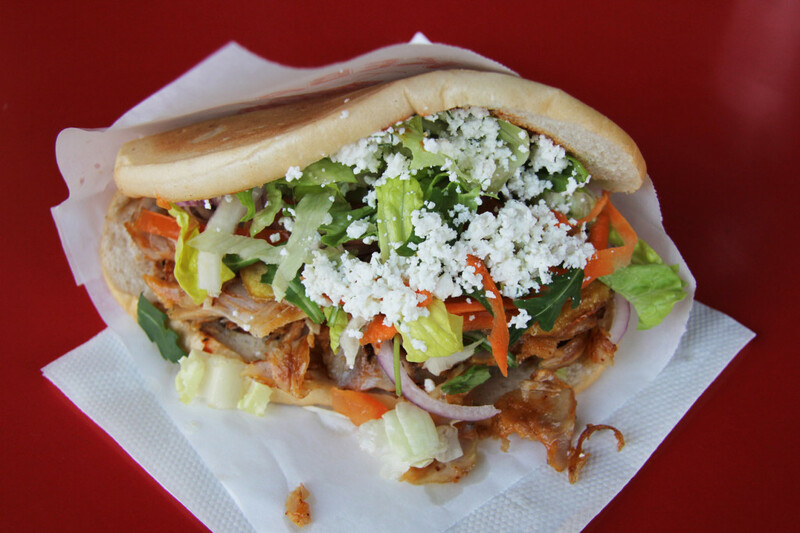 You can click on the name of any Döner Bude to take you to a more detailed description with more photos. 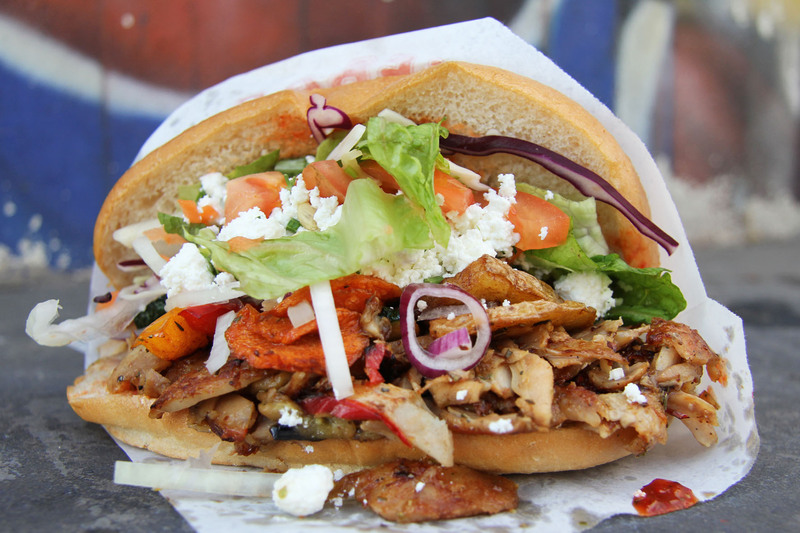 There are 9 Balli Döner Imbiße across Berlin so the chances are that you’ve wandered past one at some point. Next time, pop in and treat yourself. My Advice: Have a Dürüm. They are massive and absolutely delicious. 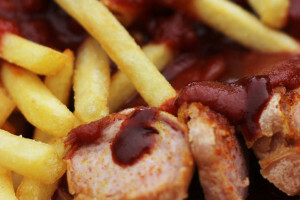 Oh, and make sure you have chips/Pommes/fries in it. Kotti (the area around U-Bahnhof Kottbusser Tor) has a bewildering choice of Kebap options and my restaurant of choice is Konyali, which is next to the station entrance on Reichenberger Straße. 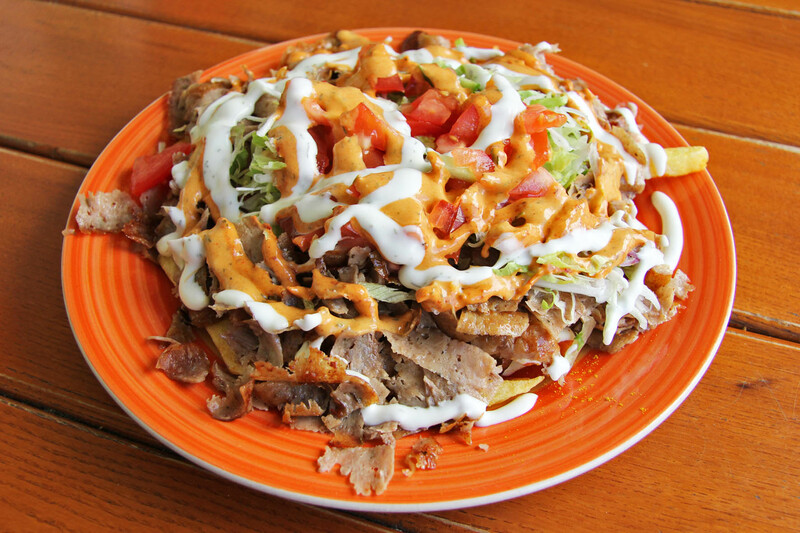 My Advice: Order the Spezial Döner – a plate of chips/Pommes/fries with a generous helping of Döner meat, covered in salad and topped off with tasty sauces. I know it’s a cliché but I’m yet to find a Kebap in Berlin that can beat the Gemüse Döner at Mustafa’s, though some on this list are its equal. This place appears in all the Berlin guidebooks and is therefore insanely popular. My Advice: Try to avoid peak times when the queue can go all the way past Curry 36 and it can take 40 minutes or more to get served. 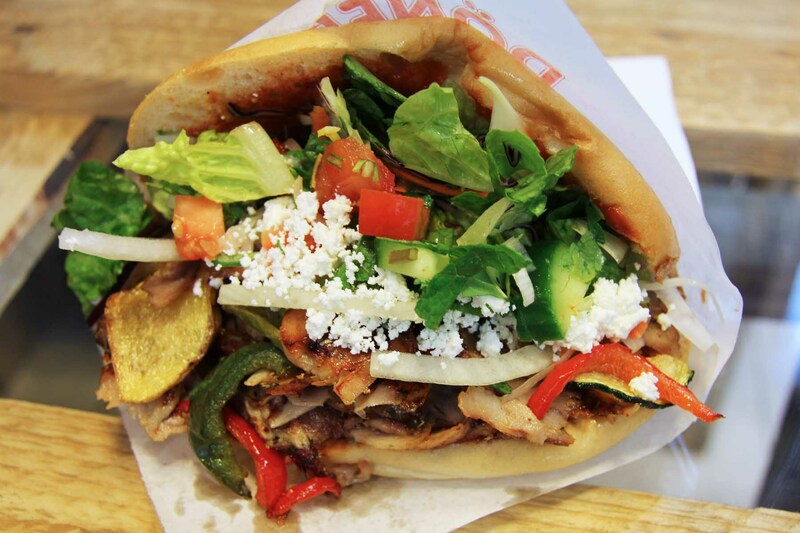 You don’t have to endure massive queues to get a Gemüse Kebap fix. This place on Kastanianallee is every bit as good as its more famous rival on Mehringdamm. 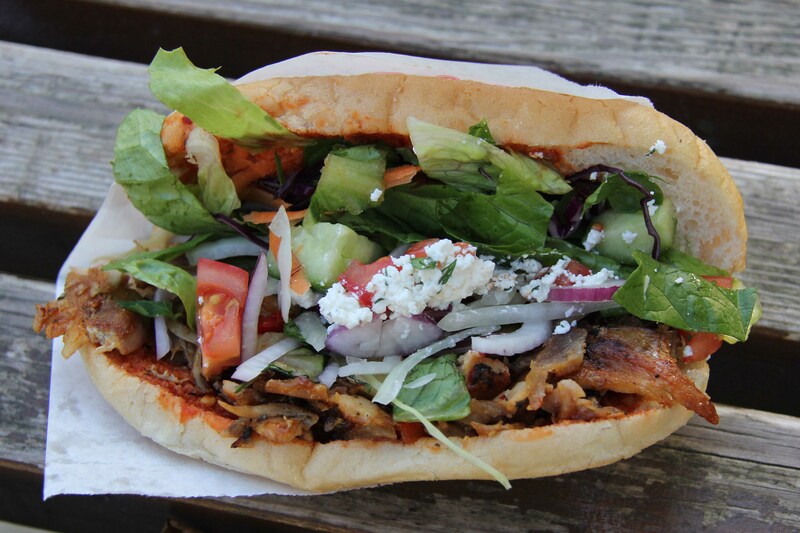 My Advice: In summer, forego a drink with your Kebap and head over the road afterwards for a beer under the trees at PraterGarten. The Kebap Spieß (the rotating skewer of meat) at Imren is unlike any other I’ve seen in Berlin so far and the meat tastes very different. 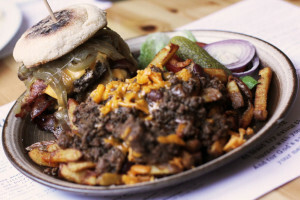 Their secret is a homemade mixture of marinated and seasoned beef flavoured with lamb fat. 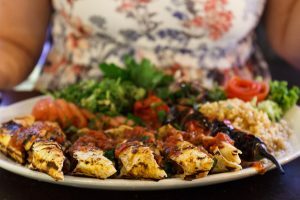 My Advice: If you want to take a photo of that incredible Kebap Spieß, ask first – I was asked to delete the photos I took at the Neukölln Bude. If you want to leave that difficult ‘chicken or beef’ question to the last minute you can get both at Hisar. Just queue at the window with the chicken or cow symbol depending on your preference. My Advice: Go with a friend (or a big appetite) so you can try the beef and the chicken at the same visit. According to Berlin Döner there are 1300 Döner Buden (shops or stalls) in Berlin so naturally I can’t be sure that I’ve eaten all the best ones yet, though I’m trying my best to work my way through them. For that reason, this list is and always will be 6 of the Best Berlin Kebaps rather than the best Döner Kebaps and I’ll update it whenever my preferences change. 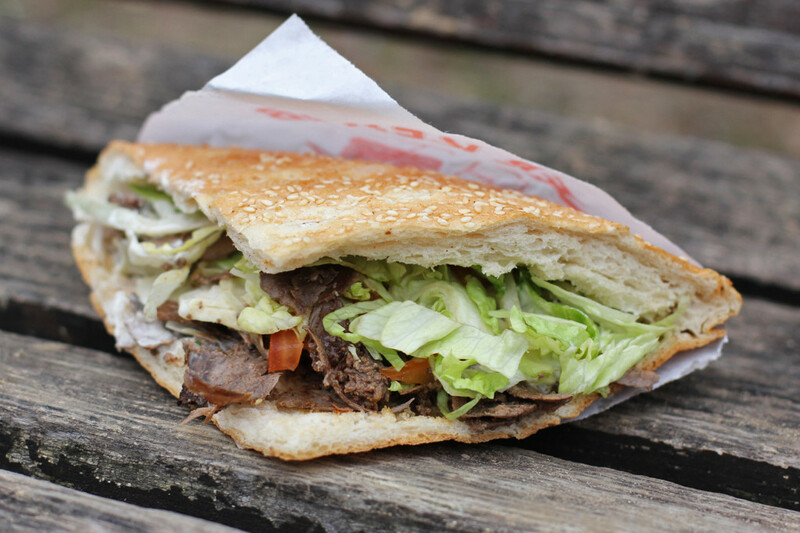 If you have a favourite Döner Bude in Berlin that doesn’t appear on this list please let me know in the comments. My quest for the best Berlin Kebaps will never be over and recommendations are therefore always welcome. Feel free to connect and be inspired! But above all, keep on posting this jummy stuff! Kees, your Foursquare list is a great idea. I’ve been struggling to find a use for Foursquare since the whole Swarm split but I now follow you on Twitter so will hopefully see your Kebap adventures there.